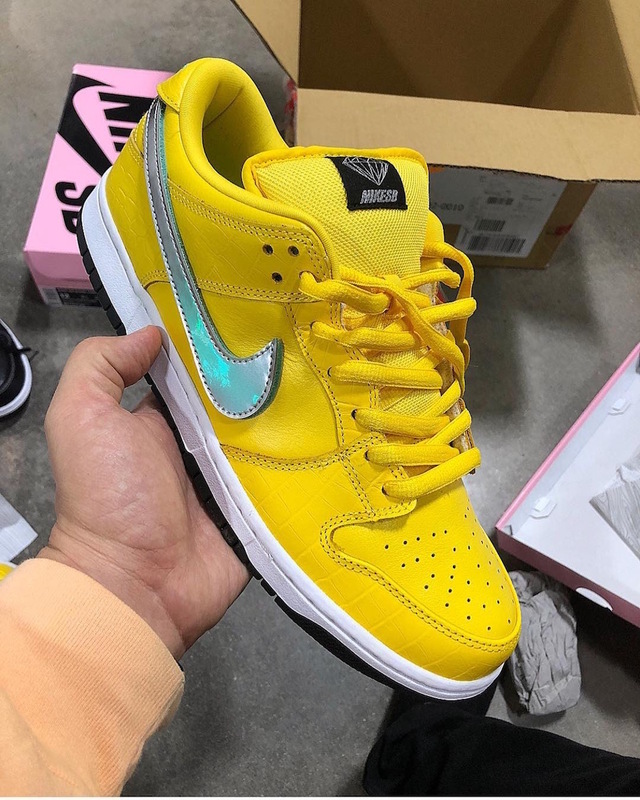 Nicky Diamonds has given us a look at not one, not two, but now three colorways of his upcoming Diamond Supply Co. x Nike SB Dunk Low project. The latest is this pair, which keeps it consistent with the black and white pairs in terms of construction. Removable Velcro swooshes, Velcro flip heel tabs, crocodile print detailing on the overlays and a Diamond tag riding the tongue. The collection will first make its debut at ComplexCon this weekend, followed by another exclusive release at a Los Angeles pop-up shop on November 8th. We’re still waiting on details of a wider release for the black and yellows, with the white pairs said to hit select skate stores on November 10th.